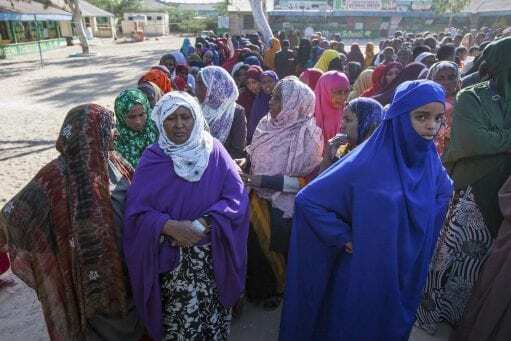 Somaliland: proof that aid doesn’t work …? Somalia is the focus of a fair bit of attention at the moment with the London Conference taking place on 23rd February building on security concerns, piracy and the ongoing humanitarian crisis. Somaliland too has been attracting a bit of interest in the UK media lately, but sadly it’s often been a case of using the most simplistic of understandings to construct an argument which is itself superficial and very possibly damaging. Back in September 2009, when Somaliland was in the midst of a fairly serious political crisis, the satirical magazine Private Eye jumped on the bandwagon and used an almost comically one-sided version of the facts to complain about ‘clumsy donors’ who, they claimed, had more or less single-handedly messed up a voter registration system (Private Eye, 2009). In mid-2011, the Daily Mail, Economist and Guardian Poverty Matters blog all published pieces that similarly used an incomplete view of Somaliland as a basis for the claim that development assistance is failing (Baobab blog, 2011; Birrell, 2011; Eubank, 2011a). 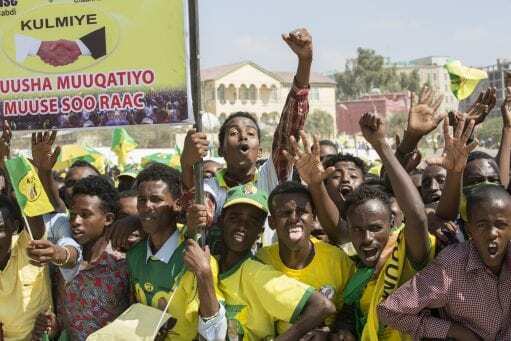 For them, the fact that Somaliland remains internationally unrecognised as a country, and has received less donor assistance to support their development than the Transitional Federal Government (or TFG) in Somalia proves that less aid is intrinsically better than more. 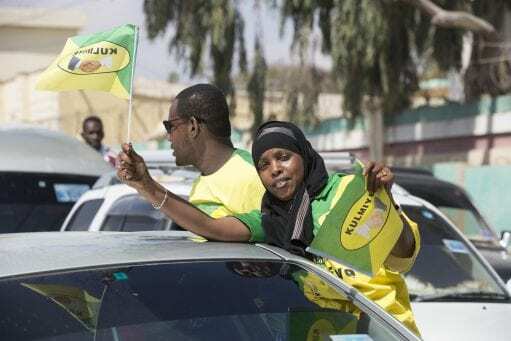 After all, Somaliland is a stable, albeit unrecognised, country that holds credible elections and enjoys a booming economy, at least in the capital city of Hargeisa. Whereas Somalia is a failed state, and the TFG is massively corrupt, largely collectively incompetent and doesn’t enjoy respect from very many Somalis at all. On the surface, one can understand headline writers succumbing to the temptation to grab the easy one-liner about donors messing up development, and then hanging a whole story off it. The surge of interest in 2011 came from a paper written a few months earlier by a PhD candidate at Stanford University, Nicholas Eubank (2011b). Eubank’s paper was fairly thoughtful, though he did make a few errors. For example, he claimed that Somaliland “has never been eligible for foreign assistance”. It is true that, because they are unrecognised, they long received relatively less aid than Somalia, and a higher proportion of what they did receive has been channelled through civil society. However, Somaliland has always received some external donor assistance, and in recent years the amount has grown rapidly. However, while I don’t agree with all the detail or all of his conclusions, Eubank does offer the common-sense argument that aid needs to remain proportionate to overall recipient government finances, and sufficiently low for the recipient state to remain largely reliant on the collection of taxes from their own population if they are to consolidate their position as a legitimate national authority. Notwithstanding his error regarding Somaliland’s eligibility for aid, Eubank’s point is that, for a number of years, relatively little donor aid was channelled through the Somaliland government. Through the critical seven years from the start of 1991 (the end of the northern war), that meant that the process of establishing a government was indeed reliant on local and diaspora resources. That’s a valid, if not exactly new, observation, and one that should be useful. I’ve argued much the same myself elsewhere. It’s a pity, though, that common sense can so easily be misrepresented that it no longer offers a useful contribution to the debate on aid effectiveness, and instead becomes a polemic. This example is interesting partly because it was Eubank himself that wrote the Guardian piece. And where in his original paper he was fairly cautious with his language, once he was writing for the more popular platform offered by a major media outlet, he too fell prey to the sensational headline. Instead of explaining a complex picture in sufficient detail, he used a single example from 1992 in which the Somaliland government had had to negotiate with local clans for access to tax revenues from the port to support the broad claim that, “[a]s a result of these negotiations over tax revenue, Somaliland has become an exceptional democracy” (Eubank, 2011a). He forgets to mention that the negotiations actually caused a war and brought the government down. That conflict did contribute to stability in the end, but it was a circuitous process and could have gone either way. The detail is rather important, and it is a gross oversimplification to claim that it was all down to a lack of aid! So what is actually happening in Somaliland with donor money? Well, lots in fact, and plenty of it provides lessons for better and worse on just how aid can work. I’ll offer a couple of examples from my experience to illustrate what I feel are positive instances. My own involvement is mostly on the political side, so I’ve had a particularly good opportunity to get a sense of Eubank’s argument about state legitimacy. One part of my work in the past few years, has been to help to coordinate international election observation missions. I helped with logistical planning for the 2005 parliamentary elections, then took a role as one of the three-person coordinating team for the 2010 presidential election. I’m hoping to play a similar role in 2012, when important local elections are scheduled. The core of the coordination budget is covered by the UK Foreign and Commonwealth Office, with DFID showing signs of also taking an interest in the future. Often, election observation or monitoring is handled by a multilateral agency such as the European Union, the Commonwealth Secretariat, the Council of Europe or the African Union, or a large international NGO such as the US-based Carter Centre or National Endowment for Democracy. It’s unusual for a small, ad-hoc group to take on that responsibility, but it’s a fact of Somaliland’s non-recognition that a partnership between DPU and the NGO Progressio have taken that role in this case. 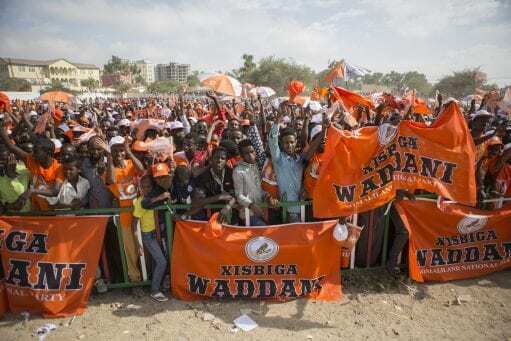 In Somaliland, the US state-funded group International Republican Institute also sends a smaller group of observers for a few days most elections. Our job is essentially to coordinate a diverse group of international observers who are not affiliated to IRI. For the 2010 election, we had enough money to cover the costs of a core team of about 15 people, and a further 44 observers who were funded by their own organisations (or indeed from their own pockets). In the end, our group of 59 international observers were drawn from 16 countries, and included 40% diaspora Somalis. Our job was to arrange transport and deployment, formal accreditation, security, and to maintain regular contact with the National Electoral Commission, who issued the original invitation. It’s a relatively modest intervention in financial terms, but we feel that this kind of donor-financed assistance helps to support local institutions in a way that builds both the credibility and accountability of the state rather than diminishing it. It’s important too that, in my experience, international observers are genuinely welcomed in most areas, and the elections are widely seen as a meaningful exercise in political decision-making. Another area that can help to support development comes in the form of research. Again, an example from my own involvement. I was recently lucky enough to be awarded some money to spend about ten days in Hargeisa interviewing a range of men and women about women’s political participation in Somaliland. Over the years since 1991, this has become a sensitive topic, generating significant debate and motivating some of the best run civil society organisations to lobby for greater women’s involvement in politics. In fact, only two women sit in the lower house of Parliament, from a total of 82. In the upper house or Guurti there is only one woman from 82 members. This is a long-standing problem, but it’s become much more urgent because women’s role in Somali society has been shifting significantly as a result of environmental change (making pastoralism more marginal as a livelihood strategy) and conflict which have together driven rapid sedentarisation and urbanisation and the movement of many (particularly male) household members overseas to find work. Women have consequently assumed greater responsibility for household livelihoods in very different circumstances, yet their political participation has remained constrained by the overwhelmingly patriarchal political system. The research was a chance to better understand the social circumstances that perpetuate that situation. In the medium term, we hope that this greater understanding will better inform policy from both the Somaliland government and local civil society and donors and intrenational NGOs. As long as aid is helping countries to deal with real issues, as well as allowing outsiders to better understand the circumstances that prevent people fairly influencing the issues that affect them then it is probably doing some good. But of course, Eubank is also quite right: it will inevitably distort societies if aid overwhelms existing capacity. The tricky bit is that learning how to balance those factors is a slow and difficult process that requires long-term commitment and patience. Not nearly as attractive as a snappy headline!